The pain of a missing pet is something no pet owner wants to go through. One day your pet is by your side and the next day they disappear without a trace. The absence of gentle head nudges and loud purrs a constant reminder they are gone. However, one fateful day, three and a half years later, you receive a phone call. Thanks to a microchip, no larger than a grain of rice, you discover your pet has been found safe, well and in the care of The Lost Dogs’ Home. For Jamie this was a reality. Three and a half years ago his beloved Burmese cat Ebony disappeared from his home. “After such a long time apart I had reached the point where I had given up any hope of finding her or having her come home. “So, it came as a very big and happy surprise to be reunited with her after all this time,” said Jamie. 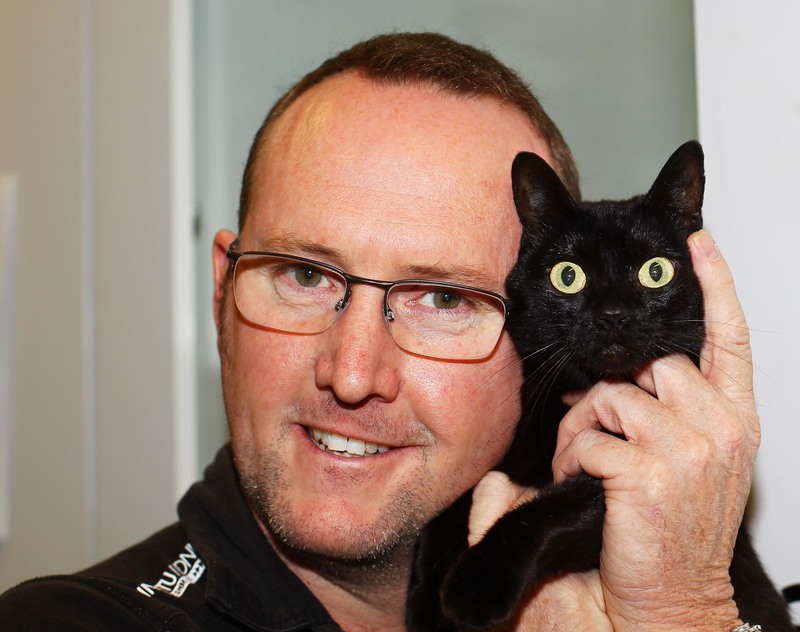 While it is unclear where Ebony spent the last three years, it was suspected that the friendly and affectionate feline had been taken in by someone who didn’t consider that she already had an owner who was desperate to find her. But, thanks to her microchip, Ebony was able to make her way back home to Jamie. For now Jamie is enjoying having Ebony back at home. “She is a super gorgeous, affectionate cat, who follows me everywhere and for her it’s all about affection and love. For more information on what to do if you have lost or found a pet visit the lost and found page on The Lost Dogs’ Home website. December is National Pet ID Month and National Pet Register is calling on you. If you are not sure if your pet’s details are up to date, now is the time to check their microchip and contact details. 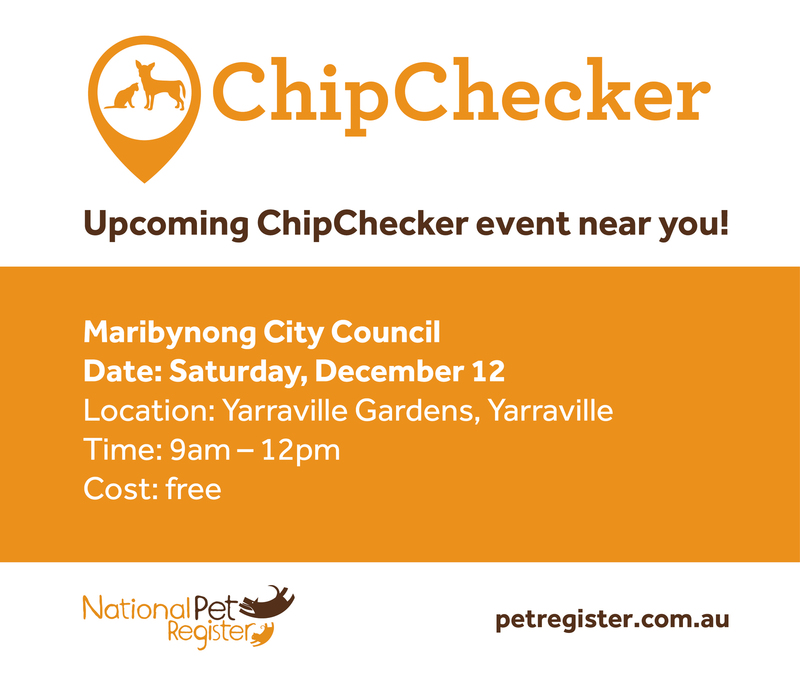 If you are in Melbourne’s western suburbs, look out for our ChipChecker station at Yarraville Gardens from 9am – 12pm today! The ChipChecker team will tell you the details on your pet’s microchip, which database they are registered to and whether their microchip is working. You can also use ChipChecker to update your details and use the opportunity to ask National Pet Register staff any questions about pet identification. Don’t forget to bring along your pet or their identification information with you. Please remember to keep all dogs on a lead and all cats in a secure carrier if you bring them with you.